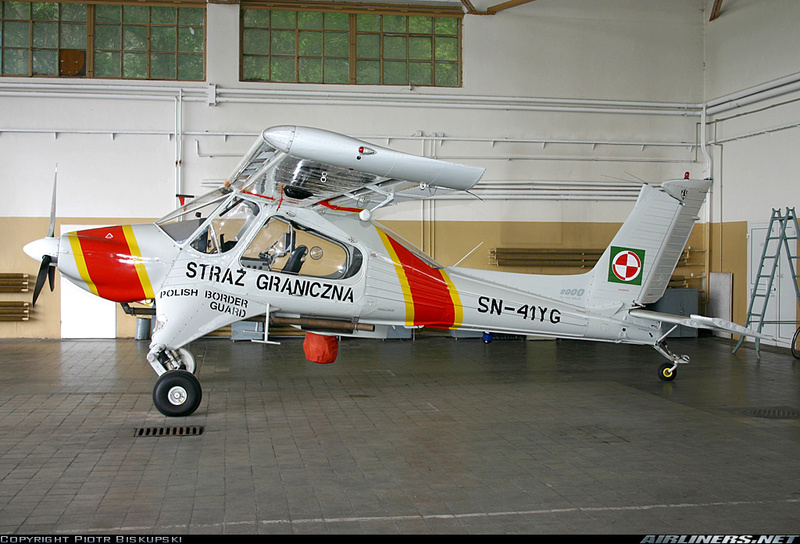 The Straz Graniczna was first established in 1928, but no aircraft were operated until after World War Two. 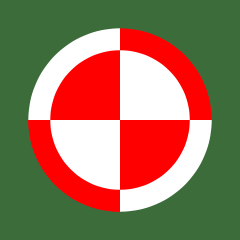 Between 1945 and 1989 the task was performed by a military force called Wojska Ochrony Pogranicza (Border Defence Army or Frontier Protection Forces), which was a part of the Army. This included one Independent Recce. Aviation Squadron based at Wicko on the Baltic Coast. In 1972 there was a big re-organisation of Police and interior forces. The 103. Air Regiment of the Ministry of Internal Affairs (MI) was established. The WOP Aviation Squadron was disbanded and replaced by aircraft borrowed from 103. Air Regiment. In 1990 a parliamentary act was passed which authorised the transformation of the WOP into a civilian agency under the Ministry of Internal Affairs. On 16 May 1991 the frontier force became the Border Guard, with the main roles of border policing and coastal patrol. 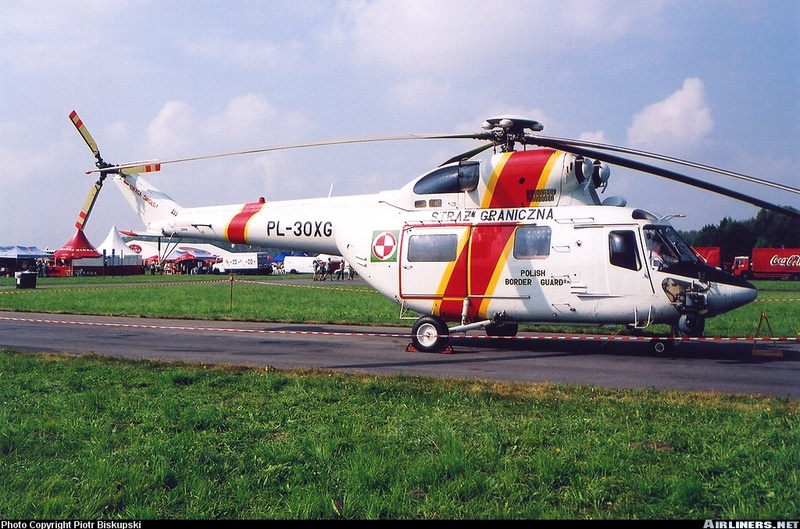 The first dedicated helicopters (three PZL Kania) were delivered in October 1996 to 103. Regt. The Border Guard Aviation Unit was established in 2000 after the disbanding of 103 Air Regiment. It started with four Mi-2, one W-3 and one PZL M-20. Six PZL-104M were delivered later. 1950s Frontier Protection Forces aviation unit established. 1972 103 Air Regt. established for Ministry of Internal Affairs use. 12 October 1990 Parliamentary act establishing civil Border Guard approved. 16 May 1991 Frontier Protection Force becomes civil Border Guard. 2000 103 Air Regt. disbanded, Border Guard Aviation Unit formed. The SG operates aviation units under the control of the Ministry of Internal Affairs (Ministerstwo Spraw Wewietrnych). It’s main task is to monitor the movements of people in border areas. The purchase of two more twin-turbine coastal patrol aircraft is planned – probably more PZL M28s. Police and Border Guard aircraft initially carried semi-civilian registrations with the prefix ‘PL’, e.g. PL-43YG. From December 2002 the prefix was changed to ‘SN’. All Border Guard aircraft then carried registrations in the SN-xxXG (helicopters) or SN-xxYG (fixed-wing) series, e.g. SN-50YG. 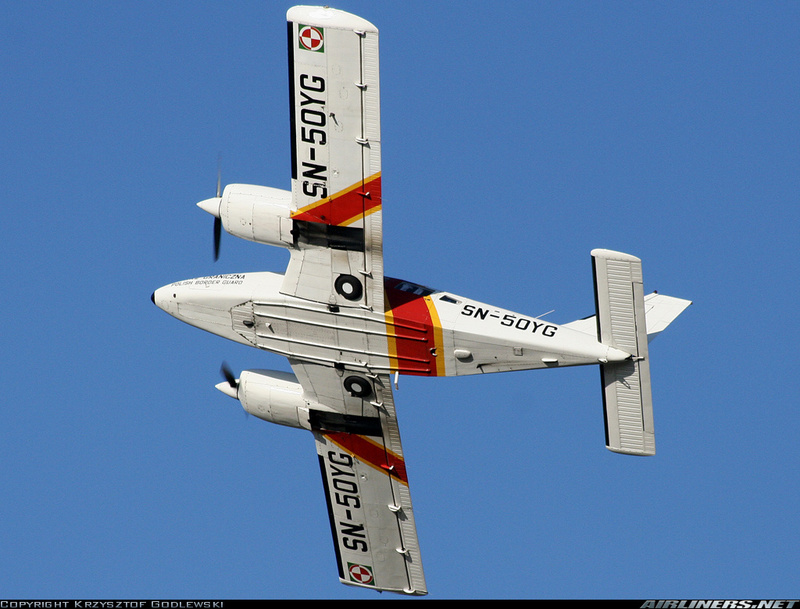 In 2011 the aircraft were re-registered with fully civilian registrations in the series SP-VSA to SP-VSM. In 2014 the SN-xxxG sequence was reinstated, with aircraft reverting to their previous serials. This history explains why SG aircraft have multiple previous identities. Lotnictwo Strazy Granicznej, Gdansk-Rebiechowo International Airport. The SG is organised into a number of Border Guard Departments and Units: oddzialy-sg. Some of these have fixed-wing aircraft or helicopters attached. Main and central base is at Gdansk Rebiechowo, with other bases at Bialystok Krywlany, Ketrzyn Wilamowo, Lublin Radawiec, Nowy Sacz, Rzeszów Jasionka and Zielona Góra Przylep. Thanks to Jakub Fojtik for providing this information. 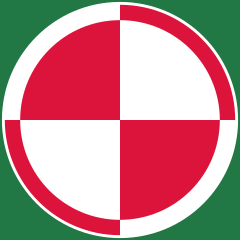 The main marking is a red and white quartered disc on a green square. This is displayed above and below each wingtip and on the fin of fixed-wing aircraft and on the fuselage sides of helicopters. The M28 Skytruck appears to use a unique variation of this roundel with the white outline to the red outer ring deleted. 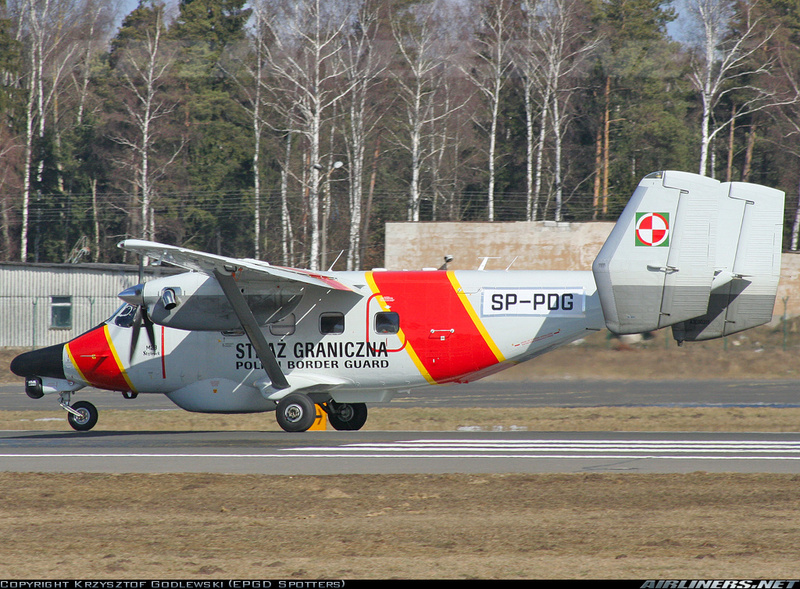 The service titles POLISH BORDER GUARD / STRAZ GRANICZNA are carried on the fuselage sides. Two Stemme ASP S15 motorgliders ordered 8 October 2014. The aircraft were fitted with special optoelectronic sensor suite before delivery. Five PZL-104MF Wilga 2000 ordered in 1997 and delivered from 1998 to the Polish Air Force for the 103 Air Regiment. Passed to the Border Guard in 2000. One attrition replacement received later. Wilga 2000 SN-41YG seen at Radom in August 2005. 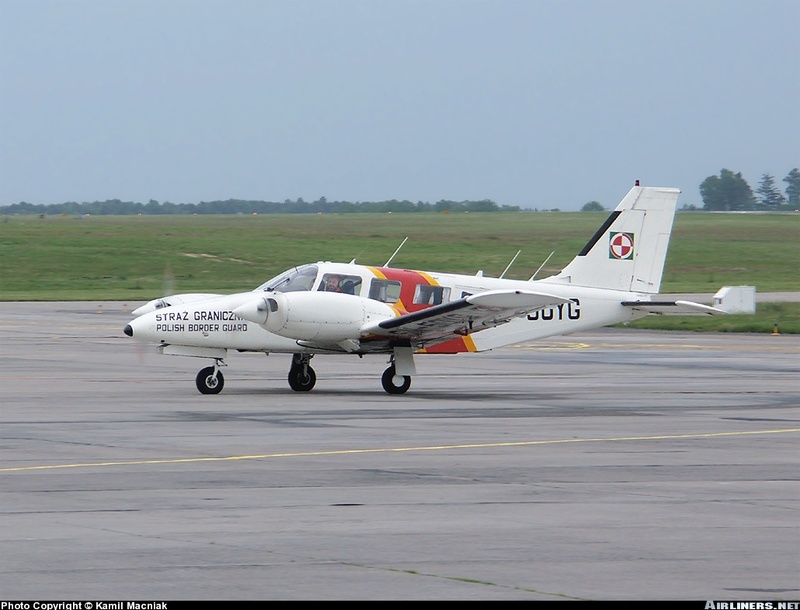 One PZL M20-03 Mewa (licence-built Piper PA-34-200T Seneca) acquired in 1995 by the Polish Air Force for the 103 Air Regiment, and passed to the Border Guard in 2000. M20 Mewa SN-50YG seen at Gdansk in June 2004. One PZL-Mielec M28-05 Skytruck acquired in April 2006. This aircraft has a special avionics fit comprising an ARS-400M radar system in the nose, and Star Safire II FLIR system, and enhanced navigation suite. M28 Skytruck SP-PDG seen at Gdansk in March 2006. One PZL W-3 Sokol acquired in 2000 from the Polish Air Force, following the disbanding of the 103. Regiment. A W-3AM Anaconda version was acquired in 2007. W-3T Sokol PL-30XG seen at Radom in September 2002. Two PZL Kania acquired in 1996 by the Polish Air Force for the 103 Air Regiment, and passed to the Border Guard in 2000. The initial two were followed by five more higher specification versions in the years 2001-2006. All were produced in Poland.